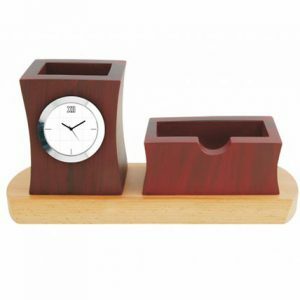 A good thing to greet your corporate people is this table top that has a clock and card holder. It is made with wood and thus the durability is confirmed. It would add a nice signature to the office work table and thus send this as a gift to your corporate people.